Some eight out of 10 women have played netball at some point in their lives, but experiences differ wildly. While many of us have fond memories of playing the sport at school, others will remember their PE sessions as something a little bit more like whistle-regulated torture. 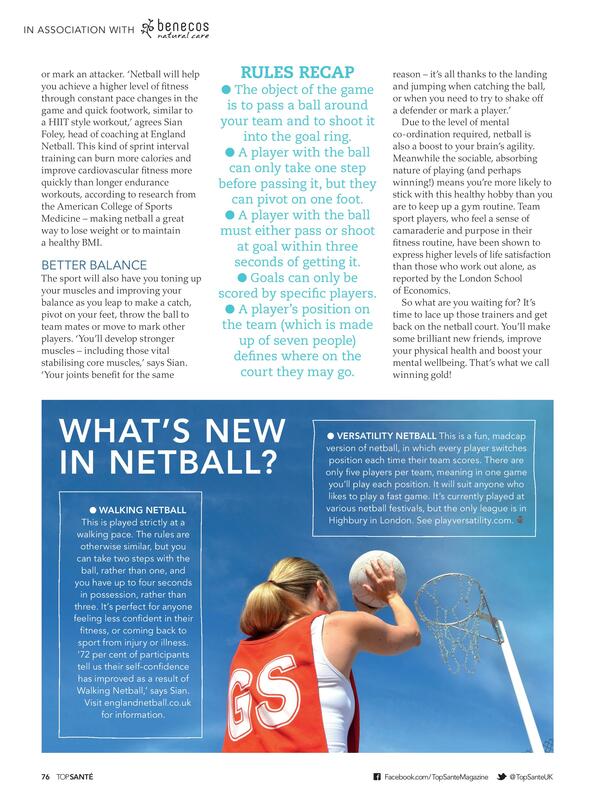 Thankfully, modern-day netball referees are much more relaxed about footwork and finer technicalities – especially for hobby groups. They’d rather the game was flowing and fun. 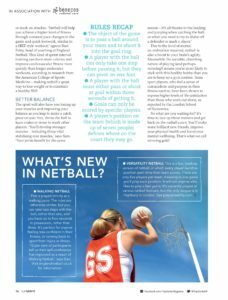 This is one of the reasons women are returning to the sport in their masses, with the Back To Netball (englandnetball.co.uk/backtonetball) initiative enabling 11,000 women to return to the game in the last year alone. Netball is not only great fun, it’s also seriously good for your health. Most adult women play netball in social leagues with a big range of ages and abilities, so wherever you’re at with your personal fitness levels, you should be able to find a club or session that suits you. Generally, netball players find themselves running short distances quickly for much of the game, depending on their position, for example, when they are trying to catch a ball, get away from a defender, or mark an attacker. 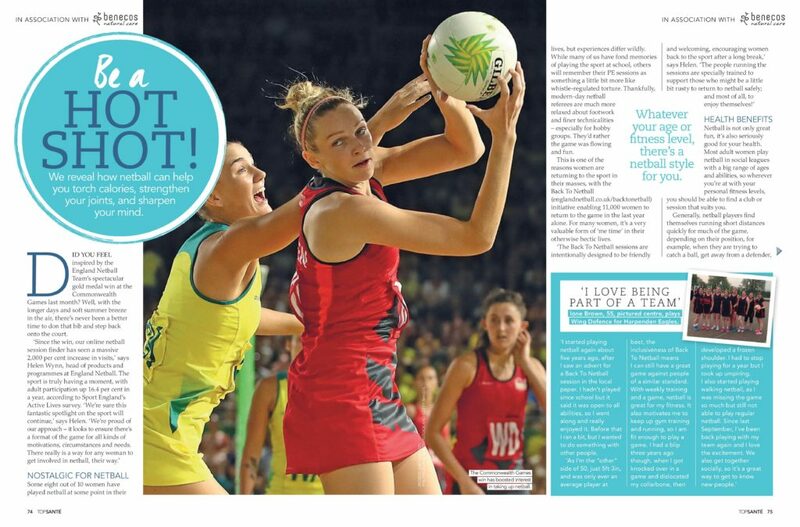 ‘Netball will help you achieve a higher level of fitness through constant pace changes in the game and quick footwork, similar to a HIIT style workout,’ agrees Sian Foley, head of coaching at England Netball. This kind of sprint interval training can burn more calories and improve cardiovascular fitness more quickly than longer endurance workouts, according to research from the American College of Sports Medicine – making netball a great way to lose weight or to maintain a healthy BMI.